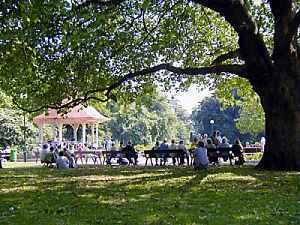 The Chapel Field Society was formed in 1998 when Norwich City Council decided to build skateboarding structures in the beautiful and historic Chapelfield Gardens. This so incensed local residents that they formed a society to campaign against the proposal and the Council finally reversed its decision. The fight to preserve the gardens still goes on.